Ressence has revealed its Type 2 e-Crown mechanical watch. 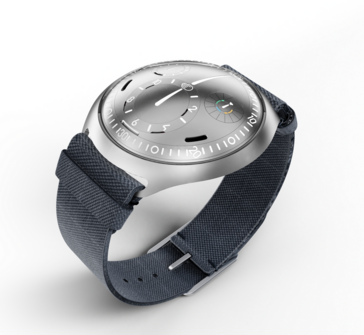 Although not quite a smartwatch, it pairs with a smartwatch to constantly keep the correct time in up to two-time zones. 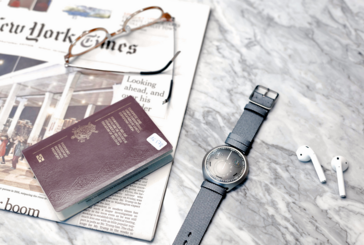 It is the first mechanical watch to feature the capability to pair with a smartwatch and represents the changing face of traditional watches trying to stay relevant in the face of a rapidly changing market. Ressence has teamed with Nest co-founder and the ‘father of the iPod’ Tony Fadell who helped to design the device. It stays powered through kinetic energy as well as through 10 small photovoltaic cells hidden behind the dial. If the device starts to run low on power, tiny shutters open to let light pass through to the cells. The shutters can also be manually opened at any time using the smartphone app. The Ressence Type 2 e-Crown is currently still a concept although the production version will be ready to hit the market in June. Pricing and regional availability has yet to be announced, but we expect that it won’t exactly be cheap given the design chops sitting beneath the dial.